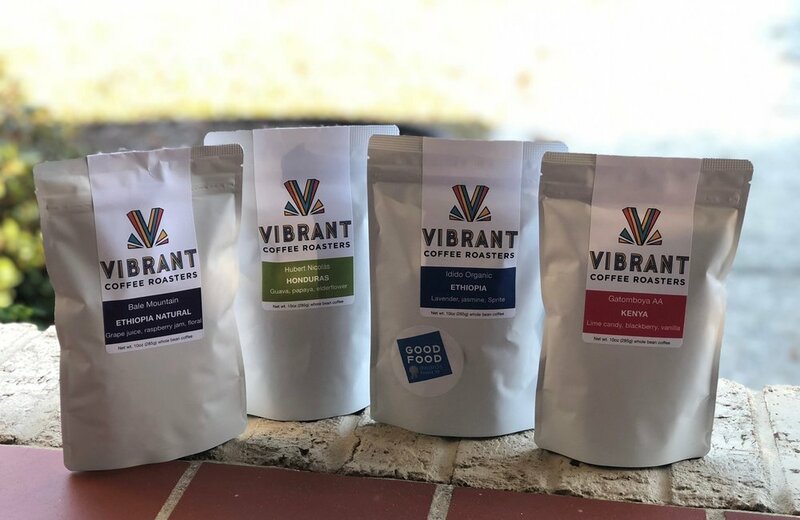 More than a Vibrant Package — The Wandering Coffee Co. Vibrant - the name tells the story with these guys. We’ve had the absolute pleasure this week of sampling 4 of their current offerings, and honestly? I just want to go back to Monday and start all over! Luckily, I can just hop back on the site (vibrantcoffeeroasters.com) and grab a bag. Or two. Orrrr 3. We started this week with their Kenyan Gatomboya AA - comprised of SL-34 and SL-28 varietals. This was by far one of the top Kenyan coffees we’ve had the joy of tasting. It’s a fully washed coffee, and the “vibrancy” of the coffee really shows through. Super bright - still plenty floral, like you’d expect, but much more sweet citrus than we anticipated. We liked the Kenyan so much we drank it Tuesday as well..
Wednesday, we made a pour over in the Chemex with the Honduras. This was a Pacamara varietal grown in EL Aguacatal, San Jose. This too was a fully washed bean, and it was roasted to perfection. I It had much more sweet and full bodied floral notes than you’d expect from a Latin American coffee, but just the right amount. The main theme in this roast was dried tropical fruits. 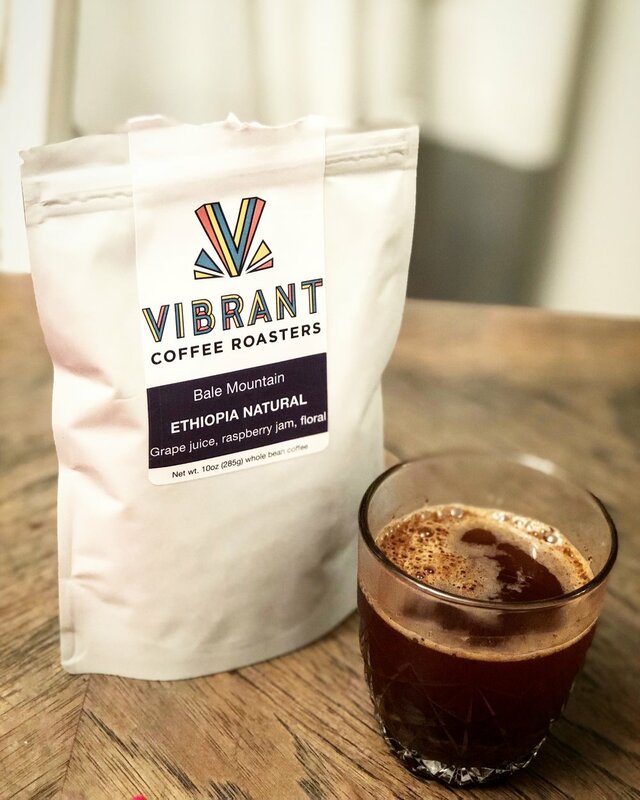 Thursday we hopped back across the pond to try two of their heirloom varietals from Ethiopia. We wanted to sample these together as one was a washed processed coffee, and the other natural. We cupped them both, and just couldn’t stop tasting. Each sip brought more and more complexities out of each coffee. The fully washed originated in Yirgacheffe. Love at first sniff. Jasmine, pineapple, tropical citrus, just a world of flavor coming through with this one. The natural processed was out of Nenesbo. First sip was quite earthy and floral, but as we got further into the coffee, it was nothing but dark dried fruits. It left us with an excellent, lingering taste similar to a glass of red wine. We highly recommend checking these guys out. They use a fluid bed roaster, as opposed to the more traditional drum roasters you’re probably used to seeing. While the basic principles remain unchanged (heat coffee, remove moisture, drink), it’s a process that allows them to be highly meticulous about their roasts and provide a consistently delicious product to the consumer. They don’t just keep a close eye on the roasting process, but they monitor the coffee through its entire life cycle. They use the finest importers and work as hard as they can to trace the coffee they buy back to the farm it came from. P.S. if you’re just getting into coffee, or want to hone on some skills, their website has a really informative brewing guide.